The Third of Seven: ($20, 274pp, 6X9″, Softcover ISBN: 978-1-68114-230-2, $2.99: EBSCO EBook ISBN: 978-1-68114-260-9, LCCN: 2016900719, Edited by Cortney Radocaj; February 2016; Publish on Amazon, Barnes & Noble, or Kindle): Suffering from short-term amnesia, Abram Jacobson wakes up in a new dimension without the slightest idea of how to get home. Joining forces with a dazzlingly attractive but deceptively strong native, Abram journeys to breathtaking new lands, encounters strange lifeforms, and constantly struggles to survive. But his troubles only start with him being trapped in a new dimension, and he soon learns an evil lord intends to murder everyone from back home. Abram is forced to fight for his life and the lives of his entire dimension, but after a while, he discovers that no one can be trusted. He realizes that if he ever wants to see the familiar sights of home again, he must overcome his limitations and fulfill a destiny that he knows stretches beyond his abilities. 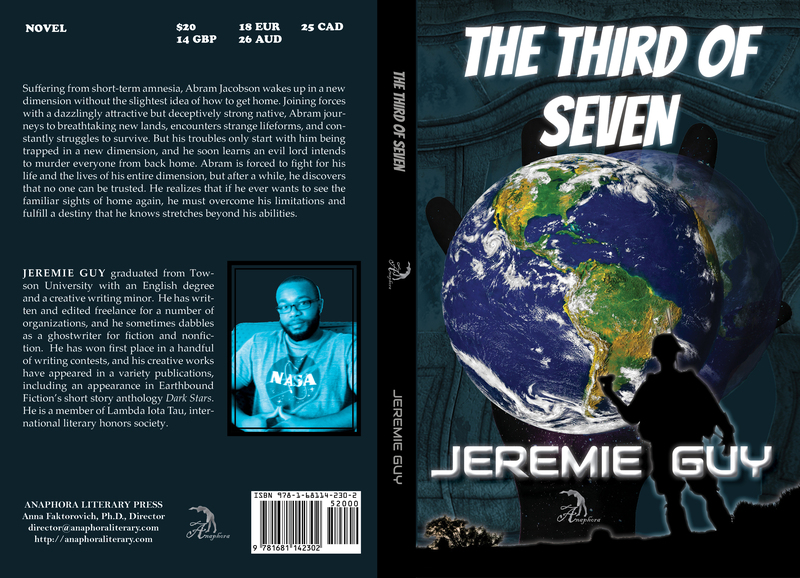 The Second of Seven: A Novel: (Softcover: $20: ISBN: 978-1-68114-421-4; Hardcover: $35: ISBN-13: 978-1-68114-422-1; EBook: $2.99: ISBN-13: 978-1-68114-423-8; LCCN: 2018904275; Apocalyptic & Post-Apocalyptic; Edited by Alicia Jacques and Joseph Foster; Release: July 26, 2018; Purchase on Amazon or Barnes & Noble): Military contractor, Abram Jacobson, is tasked with returning to the third dimension to prevent the Red Mage from crossing sides and obliterating all life in the seven dimensions. Unlike his first visit to the Third, Abram is assigned a small team to assist him. They cross over but barely a day goes by before his first teammate dies. Disaster follows Abram and his team at every turn, and certain doom looms on the horizon when they are told the Red Mage has already crossed to their home. Abram is granted precious little time to bathe in the magical arts of the Third in an attempt to save all life in the aggregate dimensions. Despite his newfound abilities, he soon realizes that the Red Mage’s forces are too powerful to defeat using righteous tactics alone. With everything he values in jeopardy, Abram’s darker side surfaces, demonstrating that he is capable of far viler things than he had ever imagined. Jeremie Guy graduated from Towson University with an English degree and a creative writing minor. He has written and edited freelance for a number of organizations, and he sometimes dabbles as a ghostwriter for fiction and nonfiction. He has won first place in a handful of writing contests, and his creative works have appeared in a variety publications, including an appearance in Earthbound Fiction’s short story anthology Dark Stars. He is a member of Lambda Iota Tau, international literary honors society.